when the NBN overhauled its go to market strategy. 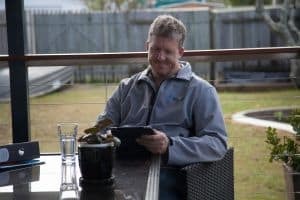 NBN has come under fire for its slow movement on the roll out of super fast internet across Australia, but the appointment signals that NBN is readying activity. The appointment comes after Bill Morrow, former Vodafone CMO took over as CEO, in December. The agency is tasked with driving communications for NBN Co's new strategic direction and started work on the business this month. UM is NBN Co's media buying agency. National Broadband Network has appointed BWM as its lead creative agency. BWM won the business after a competitive pitch between six agencies, which included the former incumbent Host. It is a two-year contract. Host had held a 12 month contract after winning the business when Leo Burnett's contract expired last year when the NBN overhauled its go to market strategy.